I can’t believe I didn’t think of this sooner. 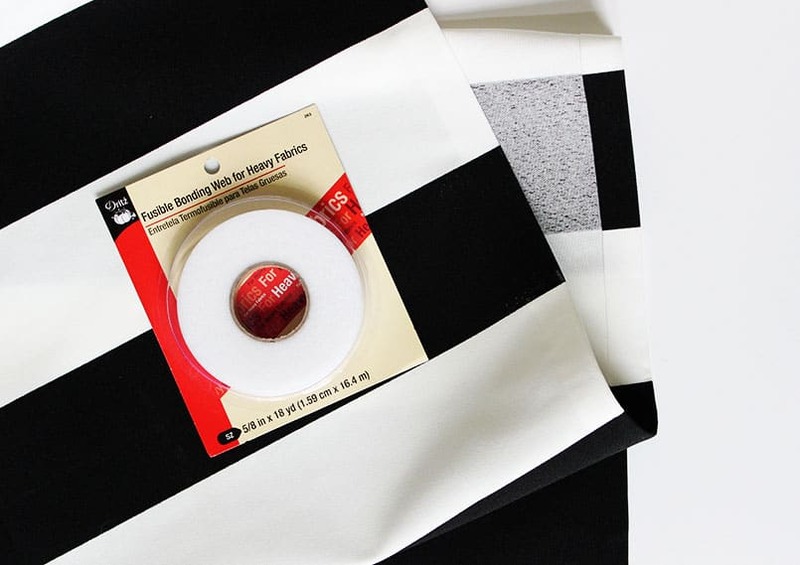 This tablecloth construction method is idiot proof, super fast, and easy. No sewing is required, which makes this project an easy choice for your next shindig. In the past, if I were planning a special gathering, I’d typically run around the house or in stores looking for decor and tablecloths. Let’s be honest. I would not find what I am looking for and end up using what I have or just grab the closest fit at T.J. Maxx or Target. Maybe a solid color, possibly white. But these. They can be whatever you want them to be! Stripes, gingham, buffalo check, chevrons, polka-dots, you name it. You choose exactly what you want; pick the color, pattern, shape, and size. Match your party theme or your home. These tablecloths would be great for hosting family holidays, showers, graduation parties, milestone birthdays and parties for your littles. There’s a small investment of time and money upfront but you can use them over and over again. 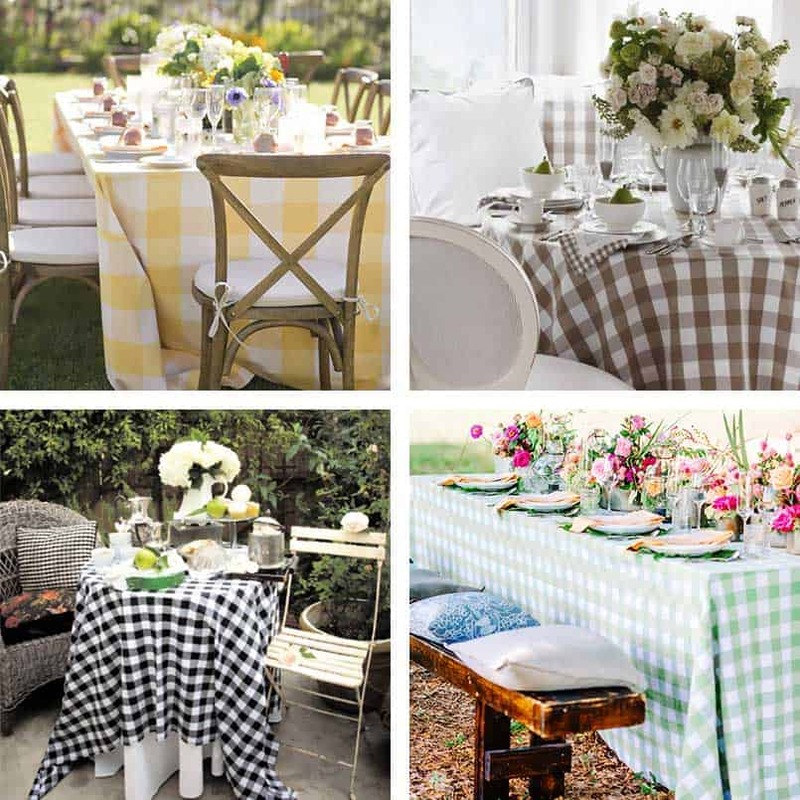 One tablecloth typically takes less than an hour and costs less than $20. This no-sew technique would work equally well for table runners, and placemats too. Oh, think of the possibilities! 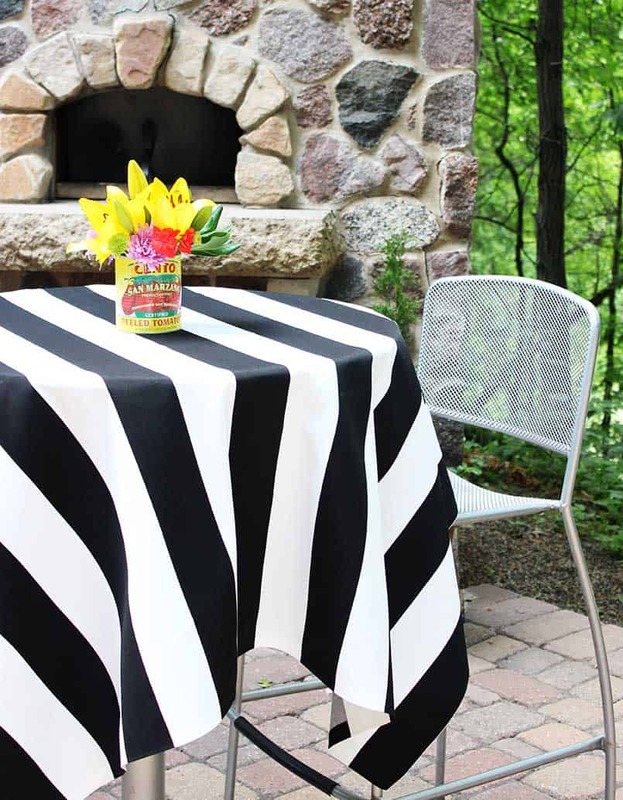 You can use these tablecloths indoors or out, depending on your choice of fabrics. For the outdoor variety, you will want to shop for an outdoor fabric that is more durable and has a protective coating. Bonus tho, this also means no prewashing before you start the project and no machine washing post party. You can simply wipe it down with a damp cloth after your event. Really, I’m not kidding! If you are making the table covers for indoor use, you can use just about any fabric that will work with the iron-on adhesive. I would recommend that you prewash indoor fabrics before you begin, to allow for fabric shrinkage. 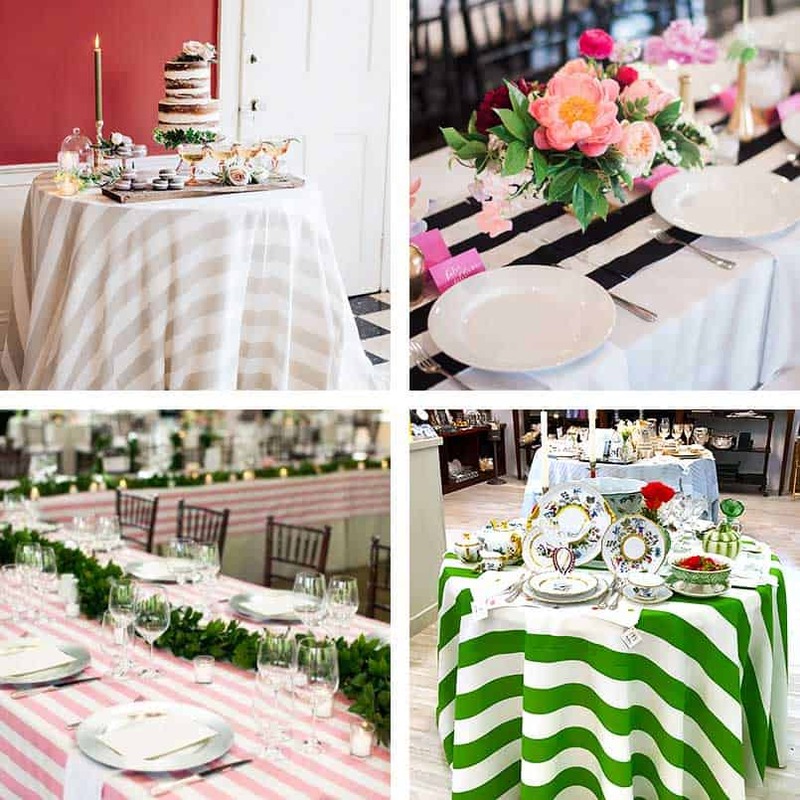 I chose stripes for my tablecloths. I have already used them for a graduation party and three backyard pizza parties. There’s just something classic and sophisticated in the stripe. It seems to work for everything. Do you agree? Now that I’ve tried this, I want to make more! Are you ready to give this a try? Here’s what you’ll need to begin. To determine how much fabric you need, measure your table top. Most fabrics are either 45 or 60 inches wide. Most outdoor fabrics are only available at 60 inches wide. Be sure to select the fabric that is wide enough for your table. If you have a very large table you may need to sew two widths together, and a sewing machine would be needed. If you are doing a runner, you are probably safe with all fabrics. Iron a 1/2 inch hem all the way around your fabric shape. 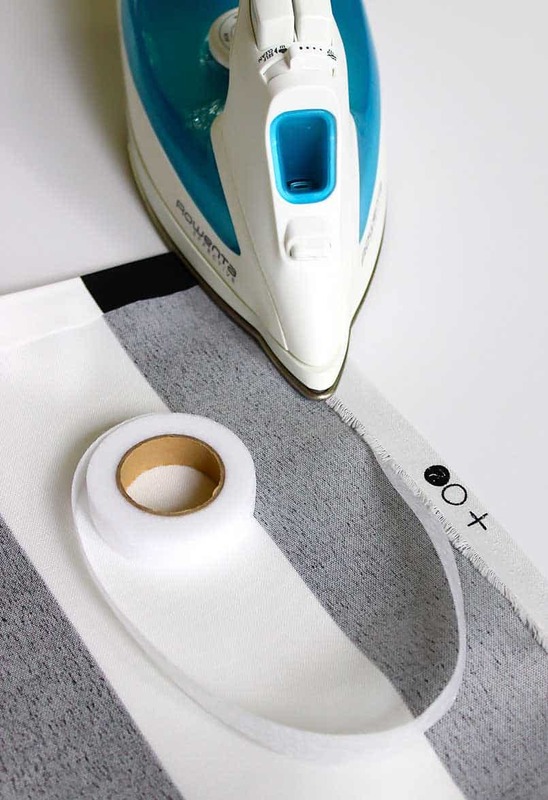 Tuck the hem tape between the hem and iron, pressing as you go. If you’re using outdoor fabric, you can simply store the tablecloths and runners over a hanger in your closet. These fabrics tend to be heavier and stiffer and might hold up better without multiple folds. For the interior fabrics, hang in a closet or fold them and store them with your other linens. 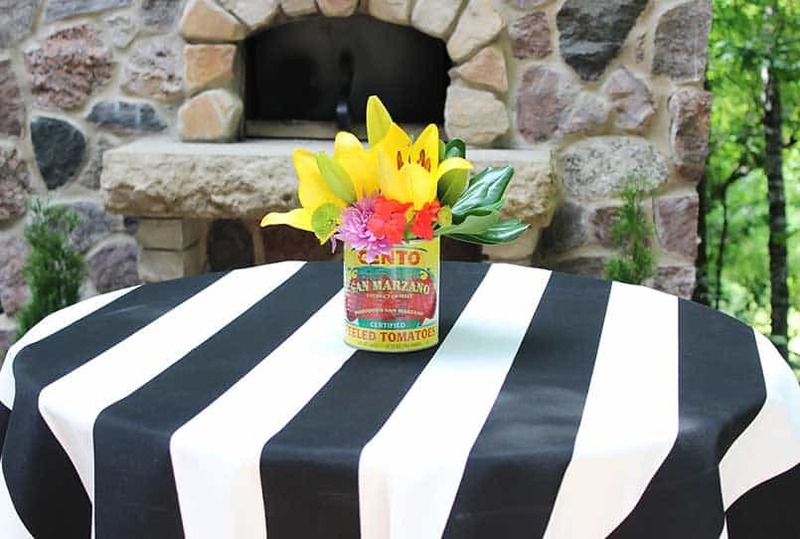 If you have an event coming up and you are looking for an instant way elevate to your party decor, give this project a try. It really is easy and (visually) rewarding!